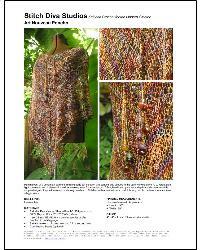 A bohemian knit poncho which alludes to the earthy styles of the 70’s. Project Size: One size fits most. Length 35" Width 38"